In 2010 Ngā Pae o te Māramatanga undertook its most ambitious research commissioning process, Te Pae Tawhiti – envisioning large scale, multi-year projects tackling big opportunities and issues. One of the Te Pae Tawhiti projects was Te Kura Roa, an unprecedented tripartite agreement between NPM, Victoria University of Wellington and the University of Otago. The arrangement was necessitated by virtue of the two Principal Investigators working in different institutions, and is an elegant example of the TEC definition of a CoRE as an ‘inter-institutional network of collaborating researchers working together on an agreed research plan’. Studying the Māori language as a vehicle of worldview, getting to the heart of the language, understanding the true value of the language and how it can and is utilised to transform the experience and understanding of those who are engaged with it. Increased engagement being tailored to the individual. 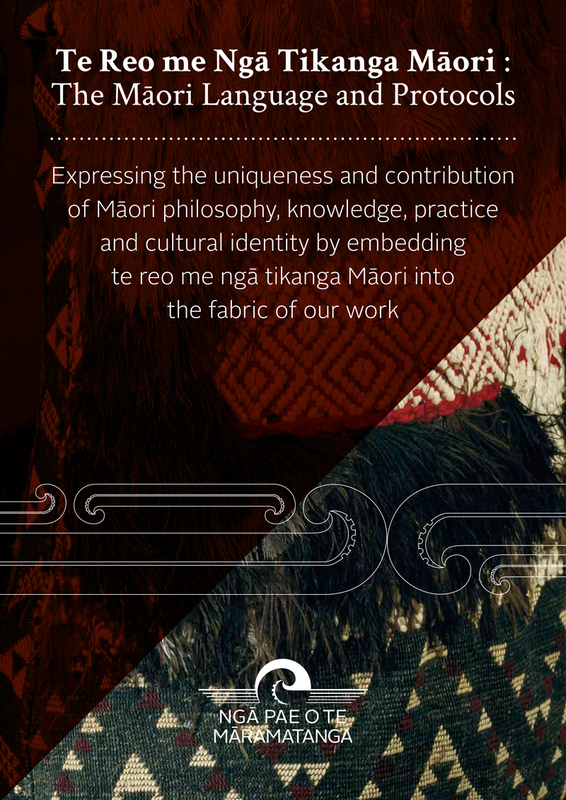 Amongst those wishing to engage with te reo Māori there is a wide range of ability and engagement – from Zero to Passive to Active, and there is a range of abilities even within those broad states of engagement. The model simply encourages the individual to increase engagement from wherever they lie on that spectrum from Zero to Active – it might mean building kupu hou (vocabulary), it might mean strengthening mita (tribal accent), or it might mean conversational language. The key point is that it results in an increased engagement at a rate and level with which the individual is comfortable. The adoption of the ZePA by the Māori language broadcasting community has influenced the assessment tools used by Te Māngai Pāho in the assessment of funding proposals, and the evaluation of currently funded programmes. The ZePA model is now incorporated into policy at Te Puni Kōkiri, Ministry of Education, New Zealand Qualifications Authority and Te Māngai Paho, is being employed by TVNZ, Māori Television and Ngā Aho Whakaari (Māori in screen production). In 2013 the Te Kura Roa team provided an analysis of the proposed new Māori language strategy to Te Puni Kōkiri which initiated a meeting of Māori language experts and Māori language initiatives among iwi throughout the length of the country to discuss further the proposed strategy. In 2014, Te Taura Whiri i te Reo Māori announced the establishment of their new research arm, He Puna Whakarauora, to undertake research relevant to the Māori language. The Commissioner, Erima Henare, named the Principal Investigators of Te Kura Roa, Associate Professors Poia Rewi and Rāwinia Higgins and stated that aspects of their research and methodology should be included in consultation with two Associate Professors. Te Kura Roa identified the dearth of literature on the Māori language, specifically since it gained official status in 1987. From the research, a publication “Te Hua O Te Reo Māori: Māori Language Act or Action” is currently in press and due for release to the public over the next few months. This edited book includes 24 authors from across critical areas which all impact on the Māori language: Law, Acts and Policy; community initiatives; education; and Māori language mediums, with a particular focus of what has occurred since the language achieved official status. This will demonstrate how the Māori language is valued across all of these areas, thereby having impact through raising of awareness regarding the survival of the language. This book is bilingual where contributors selected their language of choice in writing their chapters. Higgins, Rawinia, 2011 ‘Ko te korokoro o te parata ko tātou anō’ in He Kōtihitihi: Ngā Tuhinga Reo Māori. Korohere Ngāpō, Jackie Tūaupaki, Enoka Murphy (eds). Hamilton: Waikato University, (pp 45-55). Higgins, Rawinia, and Hall, M., 2011. ‘Te Pātaka Kai Iringa o Te Kupu’ in He Pūkenga Kōrero: A Journal of Māori Studies, Vol 10 (1) Kōanga Spring. Palmerston North: Massey University (pp 9-15).